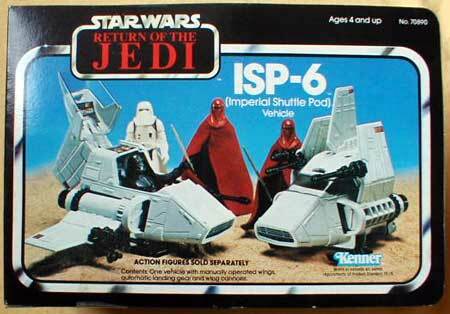 Up next in my series of Kenner Mini-Rigs from the 80's, is the ISP-6, Imperial Shuttle Pod. This is basically a mini version of the Imperial Shuttle seen in Return of the Jedi. 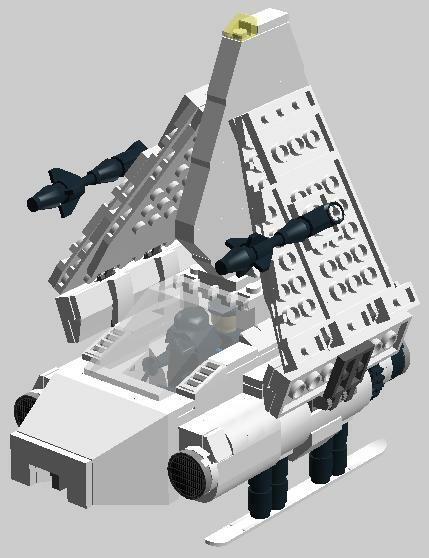 The ISP-6 Imperial Shuttle Pod, was a small air/space vehicle used by the Imperial forces. A single-seat vehicle with a tri-wing configuration reminiscent of the larger Lambda-class shuttle, the ISP-6 was probably designed by Sienar Fleet Systems or Cygnus Spaceworks. It was a fast, compact transport, designed to be deployed from larger shuttles, and it was armed with two defensive blaster cannons for operations in combat zones. It also possessed a rear-view mirror to spot Rebel fighters from behind. 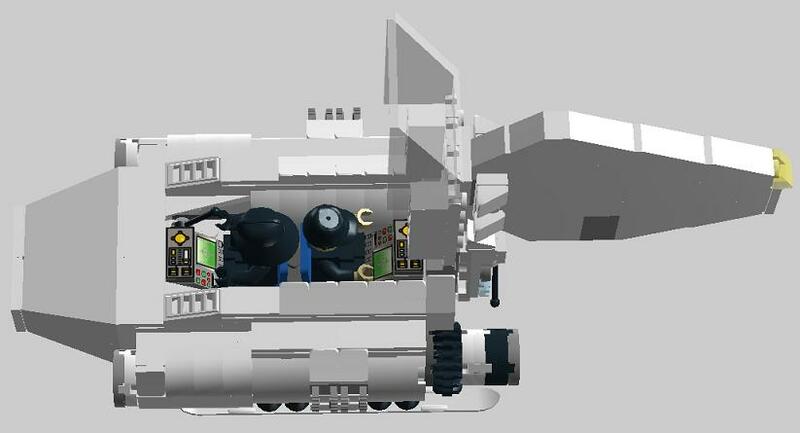 After building is and getting the proportions about right, I looked and there was enough room for Vader as well as some cargo. I put a passage behind him, but, that may change when I build this early next year. 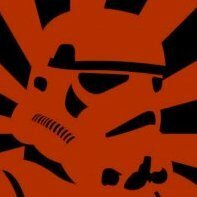 Then again, I may have an Imperial Pilot fly this and have Vader kick back and relax while he does all the work. Going back to my MLC-3. The proportion of Lego mini-figs and Kenner Star Wars figures is way different. 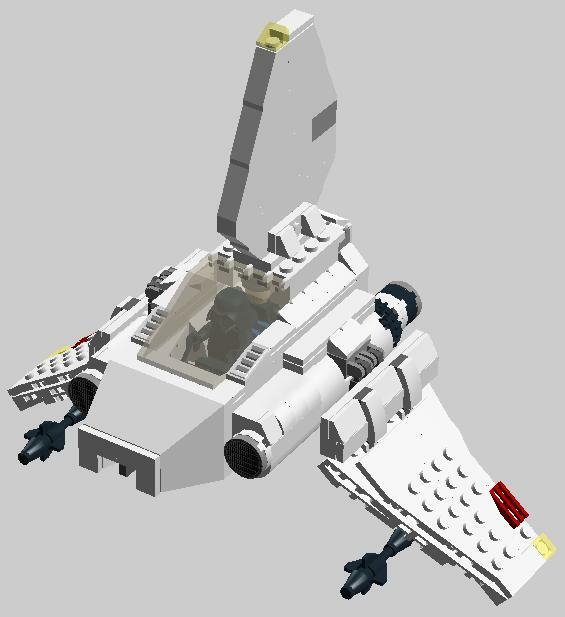 This design may fit an old Kenner fig, but, it's Lego so I may go with 2 figs in it. Wings up, landing gear down. There are 2 hinges on the top canopy, to access the whole interior of the ship. Wings fold up and down. Landing gear doesn't fit in the ship, it's too small of a build, they need to be taken when swooshing this around. I'm not completely happy with the nose. I may work on this later, but, I like it and think it fits in with the rest of the Kenner Mini-Rigs, thus far. I attacked the file to this if anybody would like to look at it or try to build this. This model is the second largest Mini-Rig I built, with 332 pieces in it. The MTV-7, has the highest pieces count, the MTV-7, Multi Terrain Vehicle will be posted tomorrow. As with all of the mini rigs you've created I love it. This one especially though... and it's great that you've managed to make room for a second pilot in there too! Thanks guys, I'm having alot of fun doing these Mini-Rigs. But, I didn't stop there. I have completed the Body-Rigs from the 80's Kenner Star Wars line. I am also working on The White Witch, The ATL Fighter, and Side Gunner from the Droids cartoon in the 80's. I also, just finished the, Freight-Loading External Rover, which wasn't ever produced as a toy. So there are just pics of it floating around. But, I did manage to get it to dock the a MF, atleast in LDD. I'll post more tomorrow. I don't want to flood the boards with 20 different MOCs. One a day shouldn't get me into trouble. Really nice ship, you got the shape very well.